From government regulation to surf culture, The Rake takes a closer look at what’s informed the shape of men’s swimwear throughout history. At their modern extreme, a pair of budgie smugglers is barely there. Yet this fact – perfectly encapsulated by the witty Australian slang for skimpy men’s swimwear – barely registers in an era in which the Adonis Complex sees boys barely out of toddlerdom fretting over their physiques. Exposing so much flesh, however, is a relatively recent phenomenon when it comes to being attired for beach or pool. You might well thank Tarzan for that. Close to 90 years ago, a company by the name of BVD hired Olympic swimmer and so-called ‘Aquadonis’ Johnny Weissmuller on a seven-year contract to model its ground-breaking new trunks. Luckily for them, three years later Weissmuller won another contract – with Goldwyn-Meyer – to play the lord of the jungle. Worldwide fame followed. But not worldwide uptake of the new, more freeing form of swimwear that BVD introduced in 1937, despite this offering more coverage than Weissmuller wore for all that rope swinging. But then, he was playing a relative savage. That the company’s invention fell flat is perhaps hardly surprising when, just a few years earlier, men of good manners were expected to wear a one-piece bathing suit that covered the chest, legs and certainly everything in between. Imagine, if you will, the idea of a man disrobing to reveal something akin to Calabrese 1924 or Coast Society’s totally unshocking swim shorts to a crowd some of whom could remember having to use bathing machines – changing rooms on wheels, pushed into the water, so one could hide one’s modesty directly under the surface. Much less exposed skin had been the norm for decades – woollen all-in-ones coming in with Victorian prudishness, and doing away with the historic norm of men swimming naked; if they swam at all, that is. Swimming, unless it was to save one’s life, was considered an avant-garde, if not outright wacky pursuit. Even when men did bathe, in their uncomfortably-heavy-when-sodden style, it was strictly in the company of other men. Society even went all out to legally control swimwear – when, during the 1920s, men finally did away with the leg coverings on their swimwear, US regulations still stipulated that what remained could be no higher than four inches above the knee. Ooh-la-la. Whether it was an abatement in moral panic, a recognition that men’s swimwear as it was traditionally conceived hampered enjoyment of the activity, or the seismic societal shift that war brings, it wasn't until the years after 1945 that men’s swimwear started to look anything like the kind produced by specialists the likes of French brand Vilebrequin today. Austrian-American Rudi Gernreich designed the first thong for a man, an even more minimal version of the style introduced by Peter Travis for Speedo in 1960. Gernreich’s less-is-better approach was all the more daring given that Travis’ design was intended for professional rather than public use. And that’s why the first man to wear a pair while posing on Bondi Beach got himself arrested. He might well have felt the long arm of the law for offences to good taste: then, as now, budgie smugglers, while ushering in the idea of the fashionable, nearly-all-over tan for men, remain awkwardly distracting for fellow bathers. 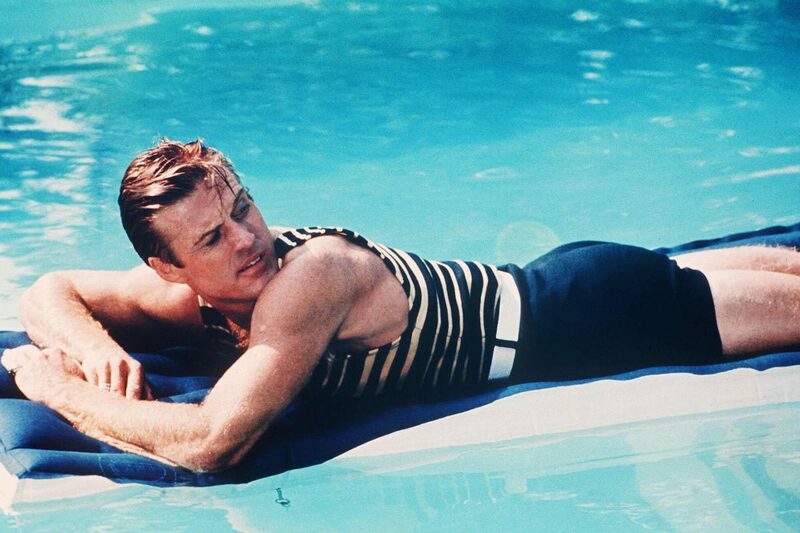 Attempts to get men to wear something more stylish meant providing designers with some fabric to work with – and, come the late ‘60s, swimwear duly came with contrasting belts or matching shirts in corduroy, denim or towelling. None really hit the mark (Sean Connery’s baby blue playsuit in Goldfinger is a case in point). In fact, it took the pop phenomenon that was surf culture – surf movies, surf songs, surf fashions and even surf surfing – when, out of Hawaii, Makaka or board shorts seemed to offer a template that was equal parts dressy and – with the increased use of form-fitting and fast-drying technical fabrics - functional. Minor seasonal shifts in leg length – such as Daniel Craig’s Ursula Andress moment ushering in a trend for flashing a bit more thigh and a lot more rear - have proven the winning look for sandy stretches ever since. Indeed, the story of men’s swimwear seems to be a rare one in which the happy medium – neither too short, or too long – has finally won through. Even the thigh-grazing trunks leading the charge for men’s swimwear today – courtesy of the lead characters in Call Me By Your Name – are modest in comparison to the briefs once prevalent. Whether this lasts, of course – given a growing and increasingly competitive market in beachwear – is another matter. Vilebrequin’s green camouflage swim shorts are designed exclusively for The Rake and feature industrial-grade metal ends on the drawstring. 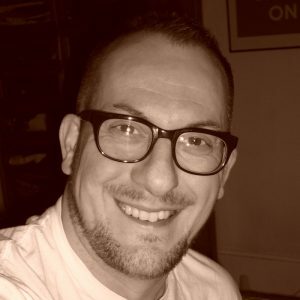 Josh Sims is a writer on menswear, design and much else for the likes of Wallpaper, CNN, Robb Report and The Times. He's the author of several books on menswear, the latest 'The Details', published by Laurence King. He lives in London, has two small children and is permanently exhausted.